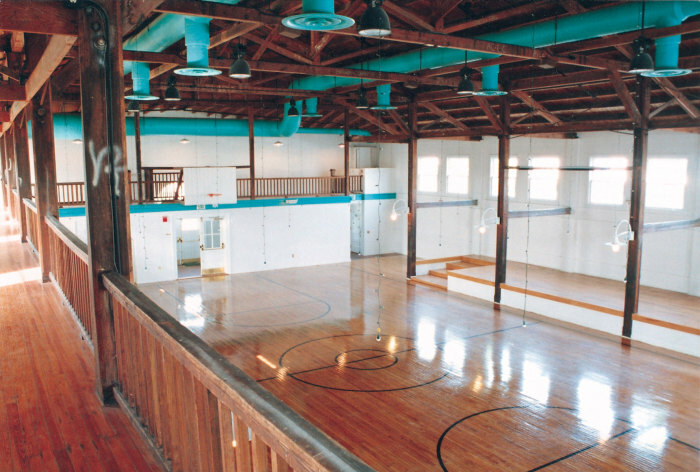 This 1926 building (formerly known as the Vintage Gymnasium) was restored to preserve the character of the original structure. Seemingly frozen in time, the heavy wood beams still bear the markings of students who dared to climb up to scrawl their names in chalk. Originally a separate building, the Fieldhouse was connected to the Crest Theatre’s backstage area during restoration. While the Fieldhouse is no longer used for sporting events, the original backboards remain in place. The loft, which held bleacher seating for the “away” teams, now provides space for seating or displays. The former locker rooms were converted to beautifully appointed restrooms. The Fieldhouse has become a popular venue for private/community events, and other creative uses.